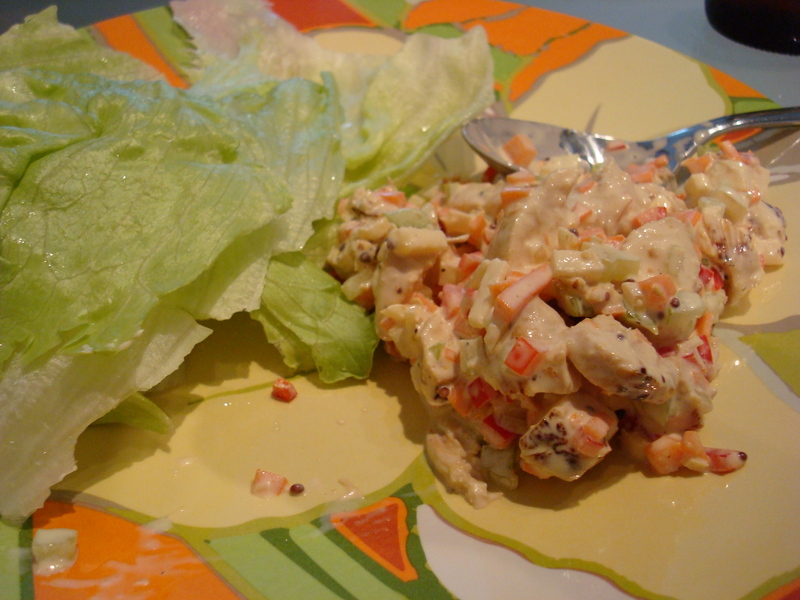 Jon’s Chicken Salad | Kaprise! One more for you guys! I actually wrote this post June 14… but like I said, I’ve been distracted with life! A couple years back, I celebrated my friend Jon’s birthday with him. I made chicken salad sandwiches and then drove to a nearby beach. Since, I haven’t seen Jon, he has one of those high stress jobs where he’s constantly on the road now, but he came and visited this past weekend. When I was on the phone with him coordinating his arrival, I asked if there was anything in particular he wanted to do and he said, “Make the chicken salad from that time we went to the beach.” And while I do remember our lazy beach trips, the chicken salad isn’t something that really sticks out in my mind. I make chicken salad the same way I have since I can remember – a bunch of vegetables thrown together with some grilled chicken. Honestly, I think the first time I made chicken salad was because we had run out of tuna and no one was home to drive me to the grocery (you know, like a decade ago when I was still driver license-less). There aren’t any secret ingredients, or any surprises. 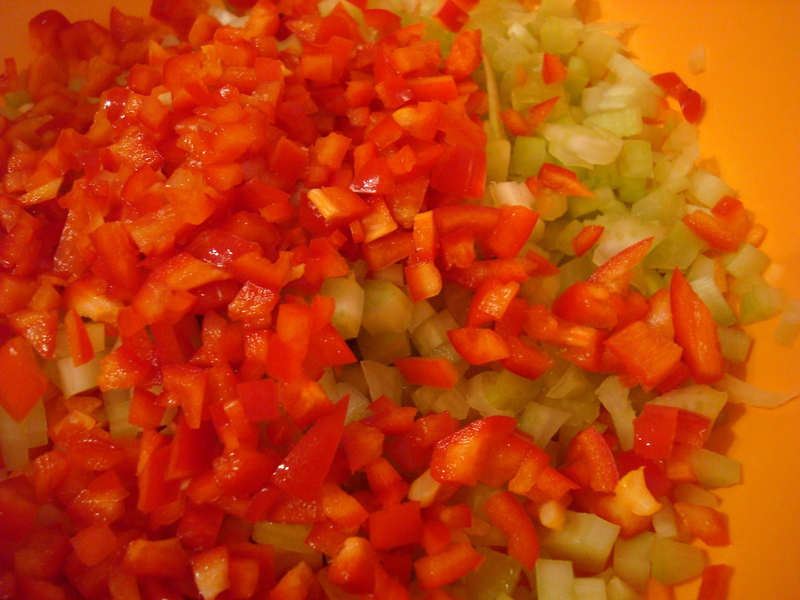 Instead, I mince the vegetables and taste a long the way to make sure the flavors compliment each other. The measurements aren’t precise, so you’ll need to adjust accordingly. I like mine with less onion, but others like the bite. I like a bit of sweetness – so I slice in teensy cubes of fuji apples. But feel free to tweak and adjust accordingly. The vegetables and chicken are phenomenal wrapped in crisp lettuce leaves or on toasted rolls, and whatever it is about this combination Jon loves it. So. Jon, here is your chicken salad so you don’t have to fly 5 hours to have your favorite sandwich!! 1 small shallot, minced (or half an onion, minced finely) If the shallot/onion is particularly eye watering that day, I rinse it with a little vinegar and let it drain well. It helps cut the strong flavor. If you have the foresight to plan your lunch, marinate the chicken overnight before grilling. It normally doesn’t occur to me until 30 minutes before I want to eat, so I use a fork to poke holes in my chicken and brush it with salad dressing (Onion Vidalia or Italian are my two favorites) before grilling. So. 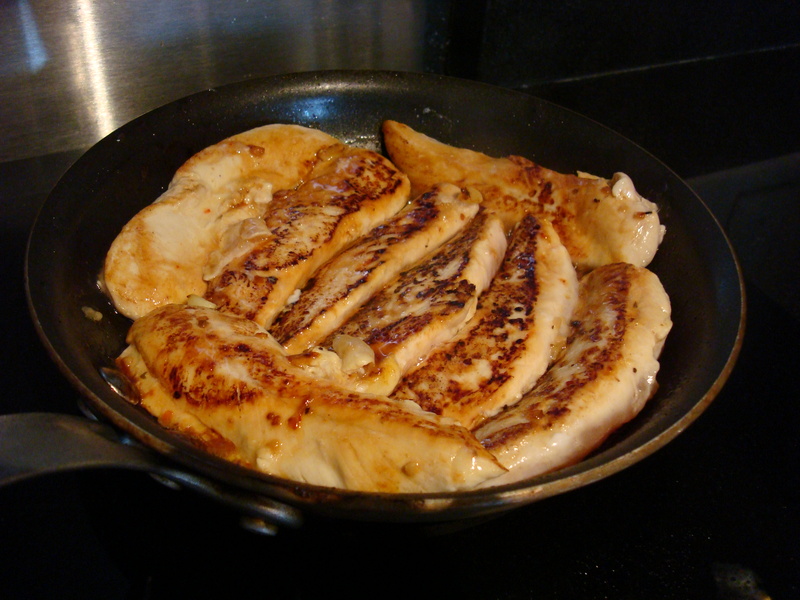 In a pan, grill your chicken until cooked through. About 4 minutes per side. Chop the chicken into 1/2 inch cubes and set it on a plate to cool while you prepare the other ingredients. No need to be too precise, the chicken will break up when you combine everything, but I do like cutting the tenderloins to remove any tendons or tough pieces that you get sometimes. Mince all of the vegetables. I normally start with the sweetest ones (remembering to spray my apple with some lemon to prevent browning) and do the onion last. 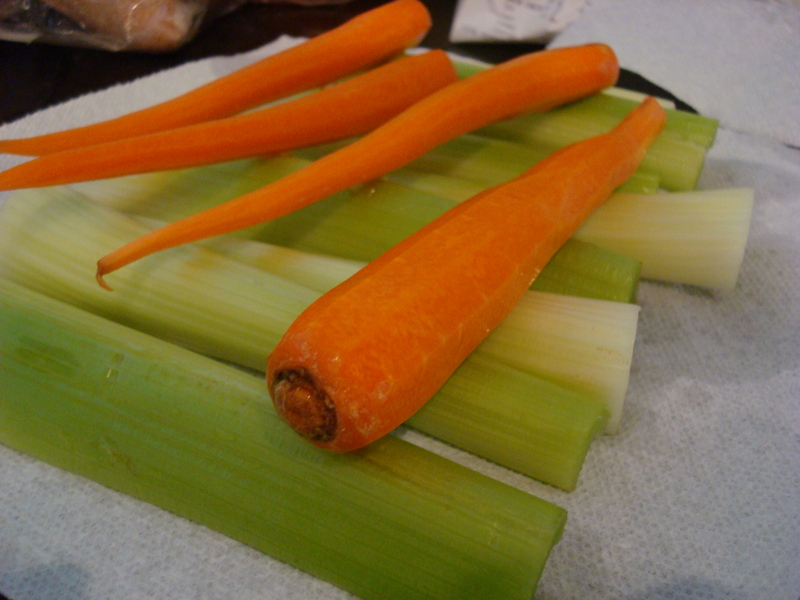 I keep the vegetables to the size of a pencil eraser – big enough to be tasted, but small. 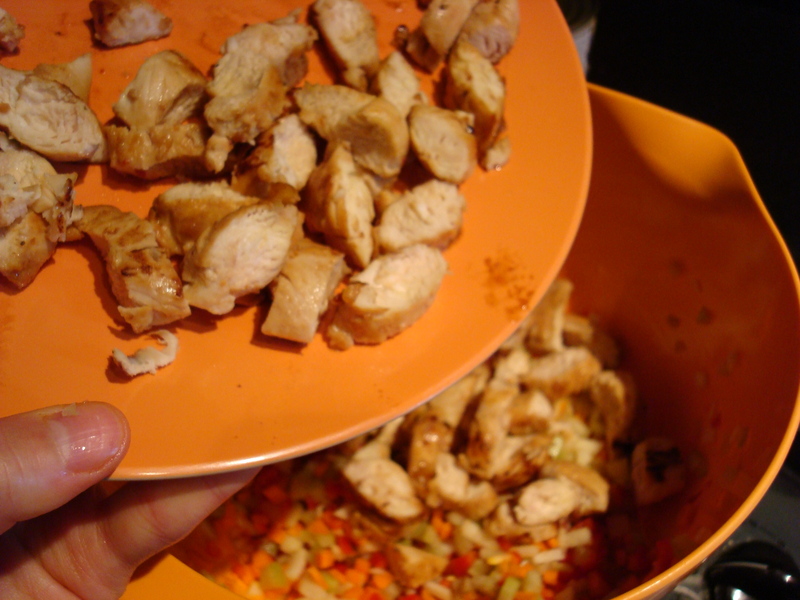 In a large bowl, combine the chicken and vegetables. This is where we get a bit imprecise. First start by adding 1/4 cup of mayonnaise and 1 tablespoon of mustard. Stir the mixture together, adding a little more mayonnaise as you go to make the mixture cohesive. Taste and add more mayonnaise and mustard as necessary. Serve on toasted bread or with crisp lettuce as wraps. I like your idea of putting apple and carrot in with the usual mix in chicken salad. Nice that your friend remembered it so well and wanted it again. Pingback: Mascarpone Chicken Salad with Lettuce Cups and Sweet Potato Circles | Kaprise!